Microsoft is to take a $240 million stake in Facebook which values Facebook at $15 billion. Single letter & single digit domains. Some of the .com’s are already owned z.com by Nissan x.com by Ebay/ Paypal but these predate 1993 when the current reserved names policy was imposed. ICANN has just launched a trial for integrating IDNs into the root. 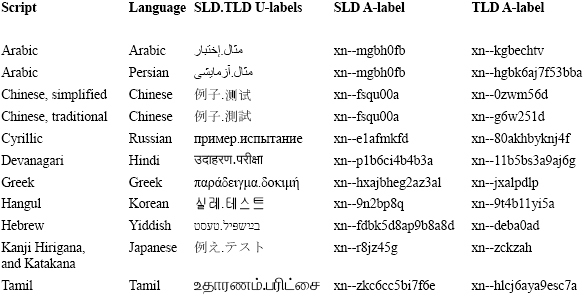 The ICANN blog has an interesting post by Kim Davis, giving nice examples on why viewing IDNs around the world can sometimes be problematic for some and not for others and why these current tests are so important for software developers. The number of .info domain registrations has just passed 5,000,000. Just under 8 months ago we reported the 4,000,000 registrations which was confirmed in an Afilias press-release in March. will be added to the Internet’s central directories as early as next week, paving the way for Web surfers around the world to get online without knowing any English. At this point, the 11 domain names are meant primarily for software developers and Web site designers to test the new system, but they are the first such names entered in the 13 key domain name directories (root servers). If the trial is successful live IDNs should be available late 2008.